Jason Statham's Not Your Average "Mechanic"
Jason Statham has been called the toughest guy in Hollywood and an action hero for a new generation. Known for roles in "The Italian Job" and "The Expendables," Statham sticks with what he does best in a new CBS Films movie, "The Mechanic," in which he plays an elite hit man. The role was originally played by Charles Bronson in 1972's movie of the same name. Statham said he has been a Bronson fan for many years. He added, "In fact, most of the movies from the '70s. So, when the opportunity came. It's ironic that it was the same script that was actually the shooting script from the original that I signed on to do. You just know how things sort of transpire. But in the end they have to kind of modernize it and give it a modern sort of a turn for today's audiences." "Early Show" co-anchor Chris Wragge noted, "The producer said they could not even imagine doing this movie without you leading the way. You starring. That had to be pretty flattering to know that you were the target." Statham said, "It's very flattering, yeah." Could he have been the target because they could save on stuntmen? 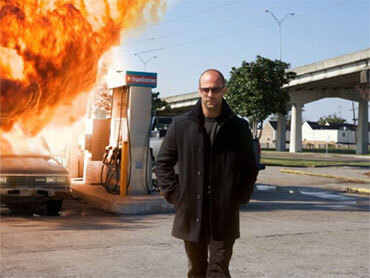 Statham does most -- if not all -- of his stunts in his movies. "You don't employ a whole lot of stunt men," Wragge noted. "You like to do your own stuff a lot of times." Statham said, "Dug my own hole, if you like. One of the first action films I did. We didn't have any -- any financial reserves to do any green screen or add any sort of a enhancement to any of the stunts. So you know, I ended up doing all my own stunts. So now it's an expectation. And so it's a sticky situation I can't seem to get out of." To see Jason Statham's full "Early Show" interview and view some behind-the-scenes footage from "The Mechanic," click on the video below.